Dow Jones provides high value, hard-to-find, premium content that businesses and financial services firms demand, including real-time news, research and aggregated content and information solutions. It creates targeted products and services specifically for professionals in Wealth Management, Investment Banking, Investment Management, Sales & Trading, Researchers & Knowledge Workers, Public Relations & Corporate Communications, Private Markets, Risk & Compliance and Energy & Commodities. 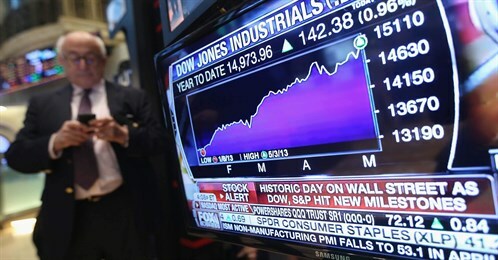 Dow Jones approached the Telemarketing Company with a requirement for several campaigns, targeting the UK and other EMEA territories, some of which would require native language speakers. The prospect types to be targeted included a wide range of job titles within enterprises including Heads of Trading, Heads of Research, Chief Dealers and Heads of Equity Sales. The focus of the initial pilot project was Dow Jones Lexicon, Text Feed and Calendar Live services. Numerous successive projects have focused on different value propositions and a wide range of different contact types. The trial project went live with the Telemarketing Company calling from a prospect database provided by Dow Jones. The brief was constructed using The Telemarketing Company’s proprietary process and documentation. Finally, a face to face team briefing was held on site at The Telemarketing Company’s offices in Brighton. Given the seniority and time pressures of the prospect types, careful scheduling of the calling and management of the pipeline and diarisation of follow up calls was required. Initially the calling was restricted to a few hours per day but the calling window opened up as follow up calls were set. The trial project results comfortably exceeded expectations, providing a high count of well qualified sales appointments and leads for Dow Jones to follow up. Based on this initial pilot, numerous other campaigns have been provided to different product areas within the Dow Jones group. "We sent out a brief to three companies and the Telemarketing Company came back with the most attractive proposal. Our Account Manager is extremely organised, efficient and is always available when needed. The management of our account is very effective and reports are sent to us in a timely and clear manner. We think they did a great job, our products are reasonably complex and the callers were experienced enough to grasp the important details quickly and represent our company effectively on the telephone. We agreed an appointment target that the Telemarketing Company thought was realistic given our products and data, and they achieved that target which was extremely pleasing. We would recommend the Telemarketing Company without hesitation."